Originally founded in 1984, Larkman Nurseries has been successfully operating for over 20 years. Underscored by a commitment to customer service and quality assurance, the company produces a range of 2500 varieties of vegetation for nurseries, landscapers, farmers and commercial works projects. Larkman Nurseries is a proud NIASA accredited member of the Nursery and Garden Industry of Australia. 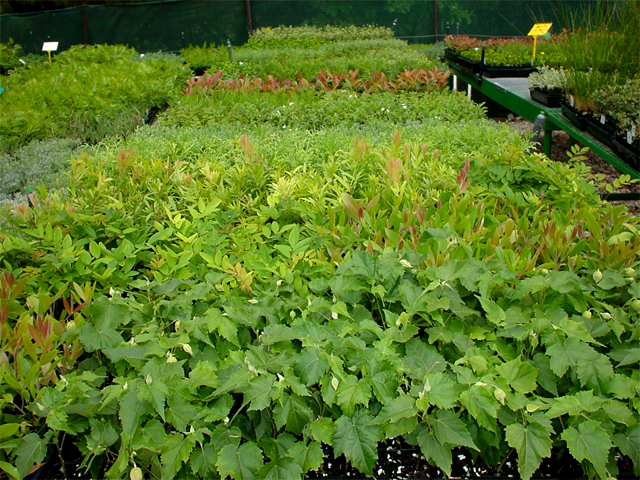 Propagating over 2 million plants annually, Larkman Nurseries supplies tubestock of grasses, shrubs, perennials and trees of over 2500 varieties of native and exotic plants. Every year the company introduce into stock 10 to 20 new varieties of plants from Australian and international breeders. The main focus is on perennials, flowering shrubs and small flowering trees, with the intent to keep market interest flourishing. Larkman Nurseries has the capacity to source large volumes of indigenous and native plants for major projects from an Australian-wide network. The company's skilled team is dedicated to supplying customers with what they need when they need it, and sending it wherever it needs to go.